Many critics and skeptics have made the bold claim that classical music is dead. It is also no secret that financial troubles have plagued the genre. The Philadelphia Orchestra, for example, declared for bankruptcy in 2011; New York City Opera filed in 2014, ultimately shutting down, and Boston Classical Orchestra canceled the remainder of its 2015-16 concert season after bankruptcy. Additionally, Chicago, San Francisco and Minnesota symphonic orchestra musicians have all gone on strike in recent years after failing to resolve contract disputes. Yet, despite the economic woes of these and other orchestras and far too many classical music institutions across the country, the genre is actually thriving. And it is doing so by not remaining static, but by evolving. Take the newly launched Groupmuse, an online social network that brings young classical musicians to local audiences through concert house parties. Also referred to as "Uber, But for Millennials Who Want Orchestras in Their Living Rooms," it is part of a larger trend to not only transform how music is consumed, but make it relevant to new and younger audiences. Somewhat ironically, it is challenging the current concert hall format by playing homage to former centuries when almost all concerts took place in private homes and venues were smaller. Only now, classical music can be ordered in the same fashion as a car service or your Friday night Pad Thai on Seamless -- on demand, delivered to your door, and with expectations of quality. This is just one example that shows that the musical landscape is changing. This indicates that it's not the genre that is dying, rather it is aged-out forms and methods of delivery and consumption. Large concert venues are incredibly expensive to stage and often become a causality of increased costs and decreased demand. This is a shame. The antidote, however, is innovation. Online ticketing and apps have made purchasing easier and less expensive for both customers and venues. And now, business models like that of Groupmuse's is just one new way that millennials have embraced Bach and Beethoven, rather than rejecting classical music all together. New generations are also experimenting with the genre itself. We have seen new iterations of classical music firsthand through Kaufman Music Center's Face the Music, the country's only youth ensemble dedicated to studying and performing music by living composers. Through collective music-making, young and committed musicians use the music of today as a vehicle to explore collaborative decision-making and develop leadership skills. 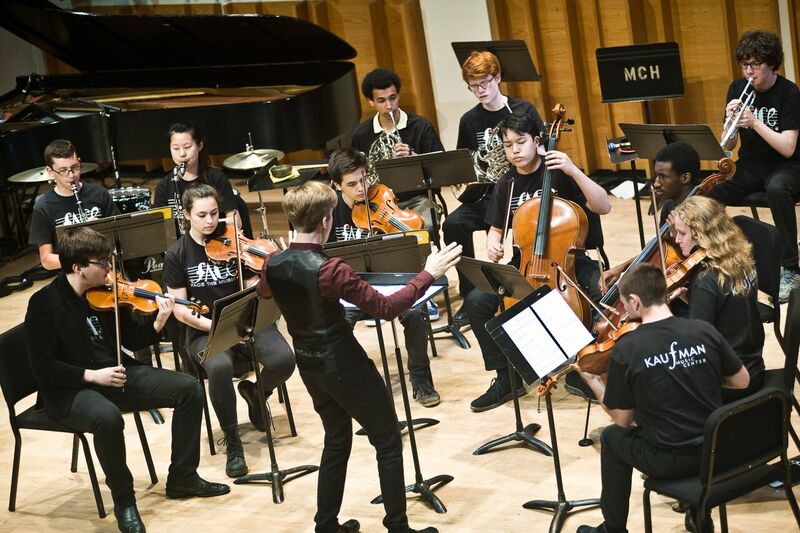 With two orchestras, a jazz big band, an experimental-improvisation collective, string quartets, a composer program, and many chamber music ensembles, Face the Music encourages young musicians to contribute to the vibrant texture of today's contemporary music scene. Collaboration is also the hallmark of our Ecstatic Music Festival. Launching its seventh season in January, it has achieved significant recognition and praise for its innovative exploration of music with more than 80 artists performing across the sonic spectrum for nine collaborative, unique shows. We also see the benefits of classical music and its many forms at our Special Music School. Here, at the only New York K-12 public school with music as a core curriculum subject, music education and private instrumental lessons are integrated into the regular school day, and the impact on learning is very significant. Students are empowered to compose their own music -- and even perform it alongside acclaimed musicians such as Kronos Quartet. They also have the opportunity to take classes such as "Music Entrepreneurship" to learn how to market themselves using rapidly changing technology and mediums of communication. These skills are applicable not only for a musical career, but also teach students how to be a leader in any and all endeavors no matter their chosen profession or path. Programs like these focus on classical music, but embrace many genres. Because of this, I am frequently asked if classical music is getting phased out by the popularity of hip-hop, pop, electronic, and even jazz. My answer is always no. Indie music is not diminishing the demand for classical; instead they are all intertwined and informing each other, while broadening access to new audiences. We can see this perhaps best through famous artists across the popular spectrum who not only credit classical music as early inspiration, but also appropriate works in their own singles. For example, Beyonce's "Ave Maria" references Schubert; The Beatles "Because" was influenced by Beethoven, and Radiohead's "Idioteque" is considered to be inspired by Wagner. So to paraphrase Mark Twain, "the reports of classical music's death have been greatly exaggerated." Rather, it has been reincarnated. It is growing, expanding and innovating with today's best and brightest students and music aficionados, navigating new iterations, ways to listen, and venues to hear it.